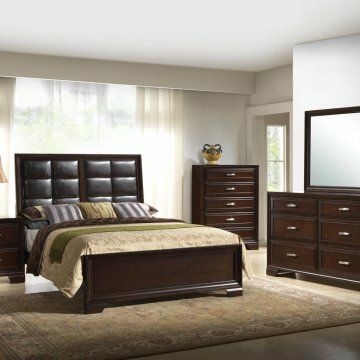 The Deanna glamorous collection will turn your bedroom into a palace with its opulent accents. 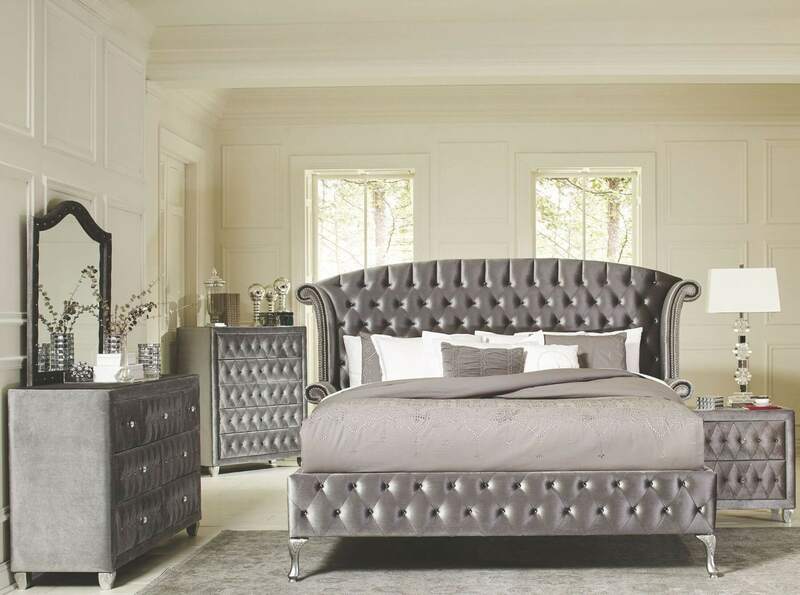 The centerpiece of the collection, the stately bed, has a winged headboard with nailhead trim. The whole collection, including the dresser, nightstand, and chest are upholstered with fabric and are bejeweled with faceted buttons that add sparkle and allure. 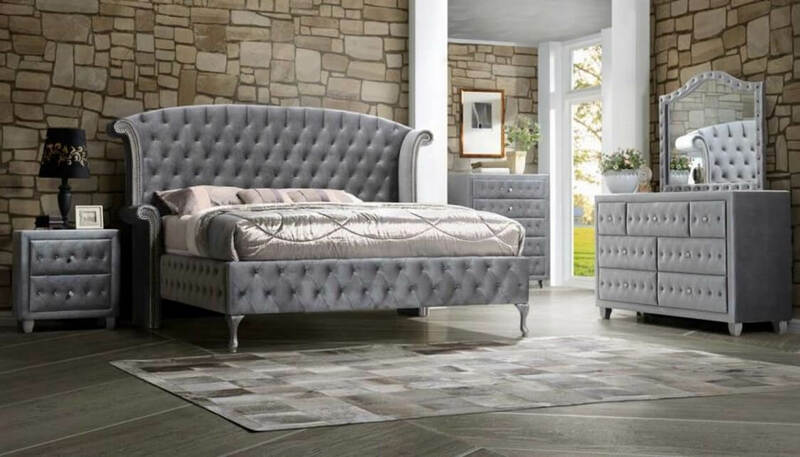 The Deanna collection is a great option if you are looking for Glam Contemporary furniture.